Nolensville First UMC was originally founded as Mount Olivet Methodist Episcopal Church, South in 1837, with a charter membership of 37. It was approximately one and a half miles south of Nolensville on Williams Road, and the first building was made from clay dug nearby and the seats were split logs. On weekdays, this building served as a school for village children. 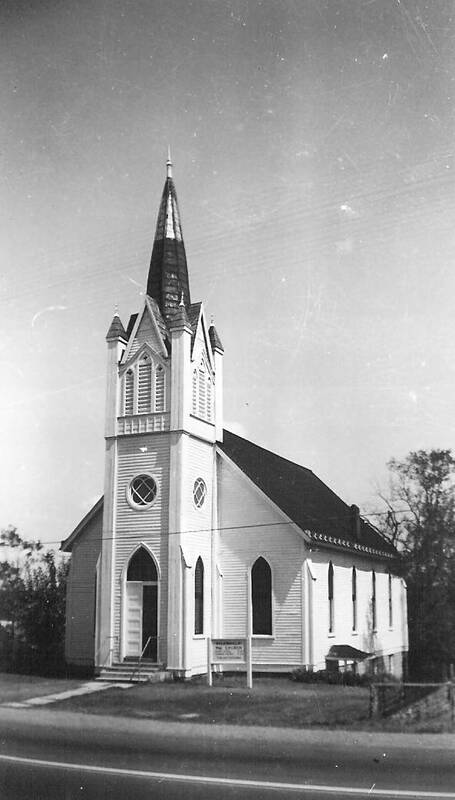 In 1858, the congregation moved to a building that could seat 300 about a quarter mile south of Nolensville, on Nolensville Pike. This building was used by both confederate and federal troops during the Civil War and was extensively damaged. However, it wasn’t until 1893 that building began on the present church. Our current Sanctuary was built in 1894, and the bell, which is still functional, was added in 1901. The basement was added in the early 1930’s, and additional classroom space was built in the 1950’s and 1970’s. The original windows were leaded clear glass, but the beautiful windows seen today were donated in memory of loved ones in the 1950’s. The new wing containing offices, class rooms, the fellowship hall, and the connecting breezeway was added in 2000.